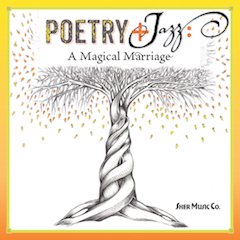 “Poetry+Jazz: A Magical Marriage” is exactly that — an intertwining of two deep art forms to create something brand new — an audio book CD unlike anything done previously. – World-class readers (including Rumis most-loved translator, Coleman Barks). The results are full of deep emotion and beauty, as you can tell from the sample tracks below. * Used with permission of New Directions Publishing.